If you owned a TV in the 2000s, there’s a pretty good chance you were glued to TLC’s hit show Trading Spaces. 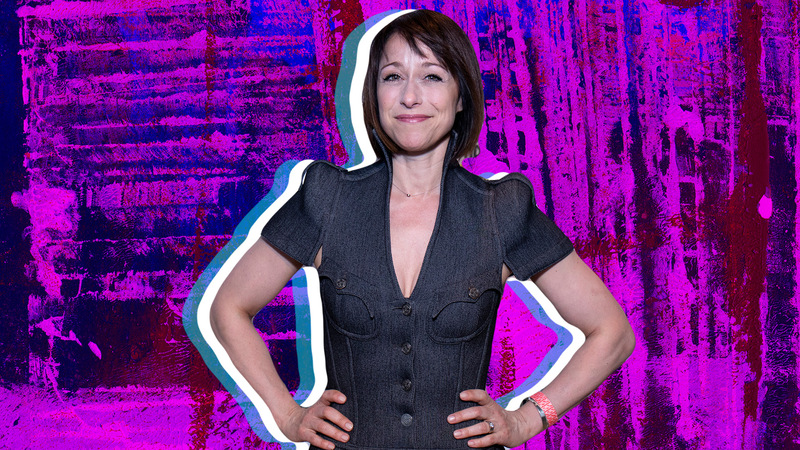 Fans of the show (myself included) were elated to find out that not only would the show be making a comeback in 2018 but the reboot would include all the original cast members, including the host of the show, Paige Davis. Now, 17 years after Trading Spaces first premiered, Davis has become an expert on all things design and renovation. We were lucky enough to chat with Davis recently, and we asked her all our home-renovation and decor questions. SheKnows: When did you first become interested in home renovations? Paige Davis: My first love has always been dancing/singing/acting and musical theater, but my mother’s first passion is interior design. From a very young age, I learned to appreciate home improvement. My mother always made us redo our houses all the time. SK: What are some of the most common mistakes people make when they try to DIY a home renovation project? PD: The biggest thing in any project, especially a home-renovation project is to take your time and follow directions. There are no shortcuts that will save you time. It will only cause you a headache down the line — pun intended! When it comes to painting, I can’t stress enough how important it is to prep your space. Before painting, I always clean the wall first and make sure to mask the room with Scotch Blue Painter’s Tape to make sure I’ll be left with clean lines in the end. I can’t tell you how many times I’ve seen people try to cut around this step, and it only causes more work in the end. SK: Is there a home reno project that’s great to let the kids get involved in/that families can tackle together? PD: Any way that you can get your kids involved and make it a family activity is always great. If there are any hidden walls, like inside your kitchen pantry, have your kids make their handprints as stamps as a great memory to have in years to come. If you really trust them, have them assist in the painting process. SK: If you want to makeover a bedroom but only have $100 to spend, how do you get the most bang for your buck? PD: What’s old is new again. Take what you already have and work with it. You don’t have to spend money on unnecessary items that you might already have lying around your house. Repurposing items is the best money-saving hack out there. SK: To those interested in purchasing a fixer-upper home for the first time, what do they need to know or look for before buying? Any red flags that indicate a home is not worth purchasing? PD: The same rule applies for buying any home — location, location, location! Whether we’re talking about school district or flood zone. Be careful because you don’t want to fix up a home to be beautiful only to have it float away. SK: Home decor can be pretty trendy and it can be expensive to keep up with. Are there any “trends” that you think are truly timeless? PD: Brass is very popular now, but in my opinion, any kind of metal will always be on trend. It can fit fabulously into vintage decor, contemporary spaces or even country homes. There are brass accents available at any price point. SK: Houseplants and gardens are really growing in popularity. People are finding all sorts of creative ways to incorporate plants into their decor. Are there any garden trends you are loving this summer? PD: I love the idea of a garden wall. We recently did one with single long-stem flowers, and it came out beautifully. Bringing elements from the outside in can really change a room. SK: What is your favorite home decor style? Are you more modern, boho, minimalist or mid-century modern? PD: Minimalist and contemporary are my favorite, and my home would be more of those styles if I didn’t live with a husband. I love cold — cement and glass aren’t intimidating to me. I find them beautiful and actually not cold at all, but that’s just me. Luckily I’m tempered by a husband who understands a home should have warmth and comfort to it. SK: Is there a home decor style you really don’t like? PD: What comes to mind immediately is country, but the truth is even country can have a contemporary flair. We see it, for instance, in a lot of the contemporary farmhouse chic style that is so popular right now. I can totally vibe on that. SK: For those who have smaller homes/apartments, what are your tips to making them feel and look bigger? PD: Believe it or not, people, myself included, think that with a small space, you need smaller items but that’s not always the case. I recently learned that tricking the scale and bringing in larger items actually opens up the space. Of course, you don’t want to do it with oversize couches and cabinets, but adding a single oversized item can actually add a ton of appeal and can make the room feel more spacious.